OTTAWA, October 9, 2018 — Ottawa Tourism, in partnership with Destination Canada, will host 330 Canadian travel industry professionals and international travel media August 11-15, 2019 as part of GoMedia Canada 2019, an annual signature media networking event hosted in a different Canadian destination each year. 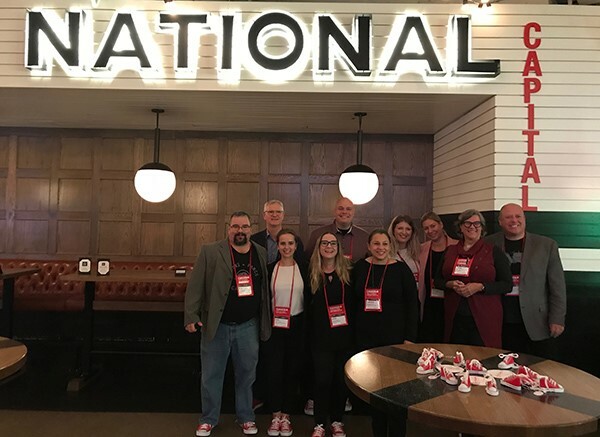 Ottawa Tourism and key industry partners hosted a closing reception at GoMedia Canada 2018 in Calgary on Wednesday, October 3 to kick off the 2019 event. The theme ‘Walk this Way to Ottawa’ highlighted Ottawa as an intriguing, accessible, and walkable destination brimming with story ideas. The 2019 conference will take place at the Shaw Centre, with accommodations at the Westin Ottawa, and will involve several other locations throughout Canada’s Capital Region, including a special welcome evening at the Fairmont Château Laurier, and a reception at the Canadian Museum of History hosted by Tourisme Outaouais, giving the delegates the chance to explore the best the region has to offer, both well-known and off-the-beaten-track. “We are beyond excited to welcome GoMedia Canada to Canada’s capital city. This is a wonderful opportunity to inspire our Canadian industry counterparts and top media from around the globe with stories and sights of Canada’s proud heritage, splendid national sites, and unique experiences in our dynamic destination,” says Michael Crockatt, President and CEO, Ottawa Tourism. An estimated 330 delegates are expected to attend the 2019 event, including more than 130 national and international high-profile travel writers from Canada, the United States and the nine key Destination Canada international markets—Australia, China, France, Germany, India, Japan, Mexico, South Korea, and the United Kingdom. The marketplace portion of the conference features 15-minute one-on-one meetings between journalists and tourism industry partners. In addition, media will partake in pre- and post-tours, interactive networking events, and full-day themed tours in Canada’s Capital Region, while industry members will benefit from professional development sessions and half-day themed tours. From left to right: Eric Magnan, Parks Canada; Ross Meredith, Westin Ottawa; Julia Thomson, Ottawa Tourism; Anne Chardon, Tourisme Outaouais; Michael Crockatt, Ottawa Tourism; Stéphanie Verner, Canadian Museum of History; Nives Scott, Ottawa Tourism; Marianne Trotier, Nordik Spa-Nature; Jantine Van Kregten, Ottawa Tourism; Guy Thériault, Parks Canada at the Ottawa Tourism closing reception in Calgary on October 3, 2018.